Live dealer casino games give you the best that online and live casinos have to offer with none of the disadvantages of either. Anyone who has played in an online casino can tell you that there are some major advantages to playing on the Internet. Compared to playing in land-based casinos, you can get started playing in minutes, you can play for shorter sessions if you want, and you can have access to a wider range of games without having to make arrangements for travel, food and transportation. However, there are some disadvantages to playing online as well because there’s less of a social factor and you don’t get to see the games actually dealt in front of you with live action. 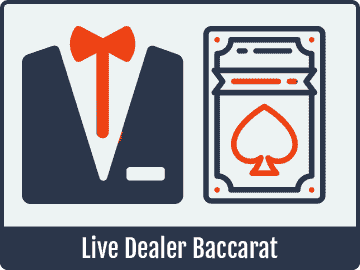 With live dealer casino games, you get the advantages of both worlds with the limitations and disadvantages of neither, making it the perfect combination for casino fans. Online live dealer casino games for real money give players an opportunity to place wagers while getting the best from the online and land-based style of play with few of the disadvantages. 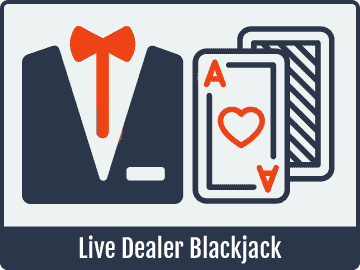 However, your options for the best online live dealer sites will actually depend on where you’re playing from and what you’re looking for. You can even play mobile live dealer games from your smartphone or tablet, but there is no one size fits all option that will be the best choice for everyone 100 percent of the time. In fact, the game selection and interface options for online live dealer play create a variety of different setups that can appeal to different types of players. Because of this, you need to have a good idea of the exact games you’re looking for and whether you want to play on desktop or mobile before you start your actual search for a site. This will make finding the online live dealer casino that fits your needs much easier and intuitive. 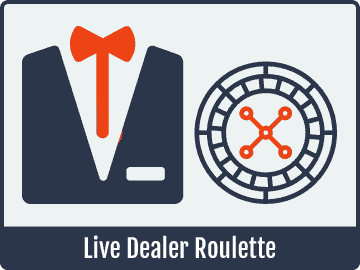 There’s a very basic concept behind how online live dealer tables work. First, the games are transmitted to you through high-definition video and audio feeds on platforms that can adjust itself to changes in your connection speed so that you don’t have to deal with slow or laggy streams. Along with that, you’re able to place wagers on your computer or mobile device on the games that are being ran in real time in the casino studio. Your account balance is reflected accordingly, as is the case in normal online casino games, so there’s really nothing special you have to do other than sit down and play. You’ll often see popular television stations playing in the background for you to verify that the games are actually being played in real time. The shuffling process for the card games like blackjack and Baccarat is often shown in the background of some of the streams for players to see that they’re following the correct procedures. Players are able to tip their dealers through the software interface, much like they would be able to do directly in person. 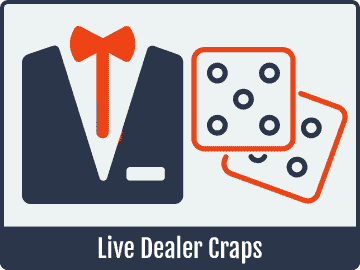 From here, let’s look at some of the things that the live dealer games bring to the table, no pun intended. If you’re used to playing in a land-based casino, then switching to online games will reveal one very specific weakness that’s difficult to deal with: There is little to no social interaction online. Gambling has always been a very social activity, and it’s only since the mid-1990s when online gambling first started emerging that anyone really thought about casino gambling on any large scale with no degree of social interaction. To fix this, you’re able to chat it up with players at the tables along with your dealer and, depending on the platform, people who might just be watching the gameplay unfold. 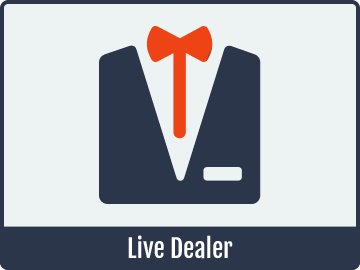 With these live dealer platforms, the chat interface is intuitive, and while you might have to type to other players and the dealers, the dealers can speak back to you instead of having to type themselves. This is obviously convenient since their hands are busy keeping the game running. Along these lines, you’re able to meet people from all over the world who enjoy the same types of gambling as you do, and that’s a great way to add a tremendous amount of entertainment and value to your experience. One of the major advantages to playing in a live dealer casino online, compared to playing in land-based establishments, is that you’ll have a much larger selection of bonuses and other promotions that can give you a lot of value. This is essentially extra money for getting in on the action with games you were already enjoying, so you’re essentially getting paid for doing something you would have been doing anyway. On top of that, many sites have special no deposit bonus offers that give you a small amount of free money that you can use to place real money bets. If you come out on top, you can win real money prizes with these bonuses as well. The point of this for the casino is that they want to give you a chance to check out the games and the software to see how you like it, and it provides players an incentive to do so. There’s more competition online than in the land-based arena, and they have to provide promotions like this to stay competitive in such a large marketplace on the Internet. If you go to play a game like blackjack, Baccarat, roulette or casino hold’em in a land-based casino, you’re going to be looking at minimum bet sizes of at least $5 to $10, even in the lower-end locations. When you play online, however, the minimum bet sizes are much lower. The reason for this is that the overhead costs for running the games are lower compared to the number of players who are getting in on the action, so it can be a lot more affordable to play the online games. Another aspect of the player’s cost that can’t be underestimated is that of the time and stress of actually making it to a land-based casino. With online live dealer games, you can sit down, open your laptop and be started playing within minutes. Unless you have a casino very close to where you live, you can’t come anywhere close to that with a land-based operation. What’s more is that if you live far away, you’ll have to make travel arrangements, which includes parking, transportation and a ton of other costs. In short, it’s much more financially viable to play online at live dealer tables, regardless of which games you play or what your land-based options happen to be. What we really need players to understand about online live dealer casinos is that, while nothing is perfect, these tables really do offer the best of the online and land-based worlds. At the same time, very few, if any, of the disadvantages are in place. The large level of convenience and the much higher level of value for these games, compared to their brick-and-mortar counterparts, makes them the smart choice.